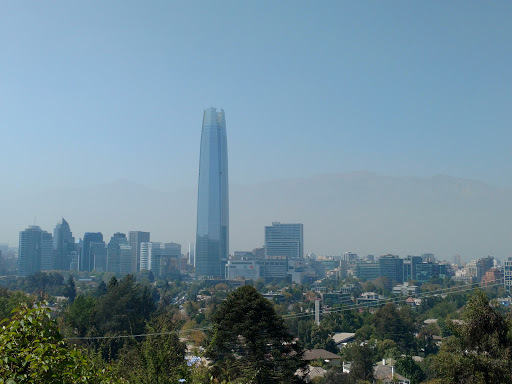 Cerro San Cristóbal is a hill in Northern Santiago which consists of a large recreation area with many short walks through the park. 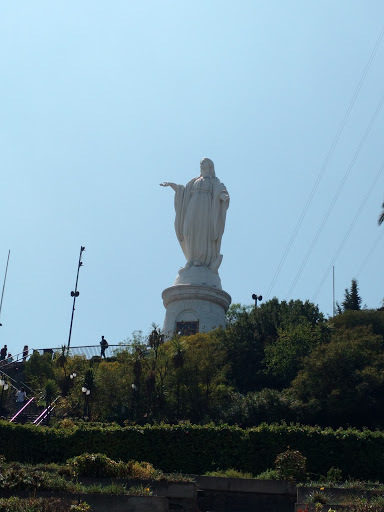 At its summit there is the immaculate conception statue and an amphitheatre for outdoor religious events. 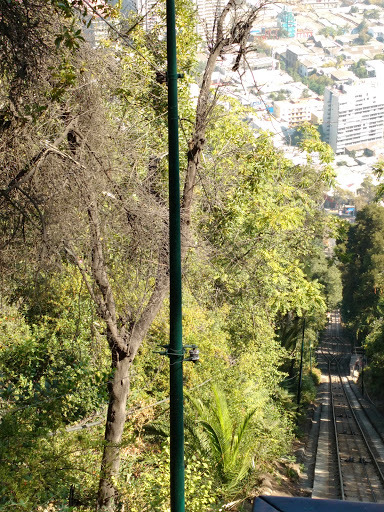 The walk begins at the foot of the hill in the Providencia district and snakes around the hill along steep roads which are busy with bike and jogging traffic. 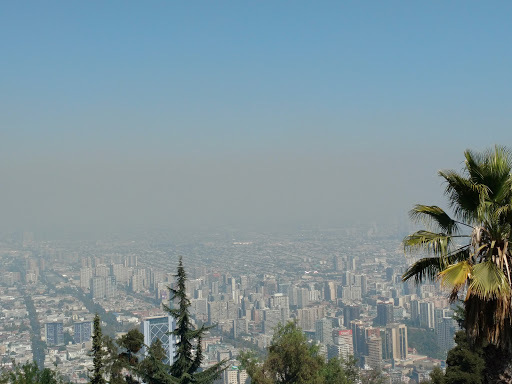 Various lookouts along the way give a view of Santiago, including its ever present smog. 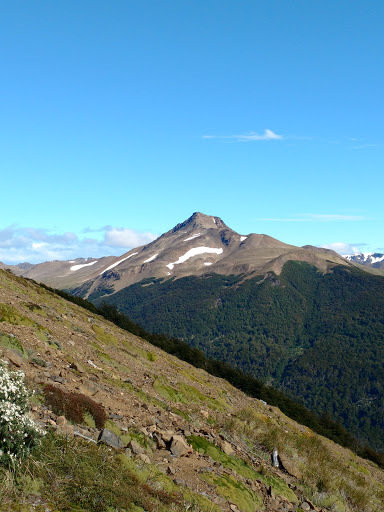 The steep roads continue to climb up the hill for a further few kilometres until they reach the summit where there are several shops, another lookout and the entrance to the Santiago Fernicular (which, obviously can save an hour's trekking to the summit). 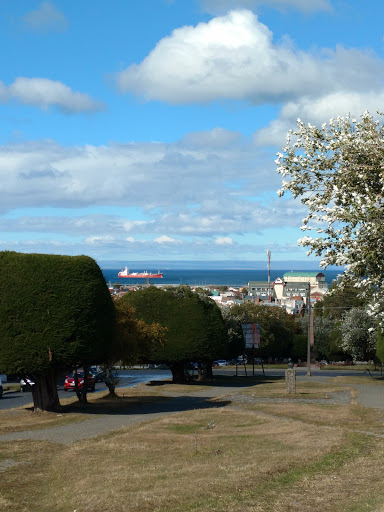 The views from the lookouts give a panoramic view of the city. 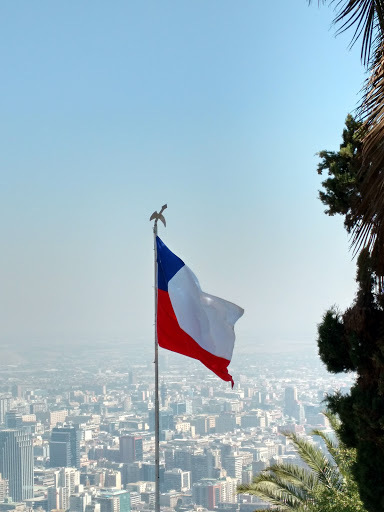 In addition to the views there are shops selling touristy stuff, snacks and a traditional Chilean beverage: Mote con huesilos. 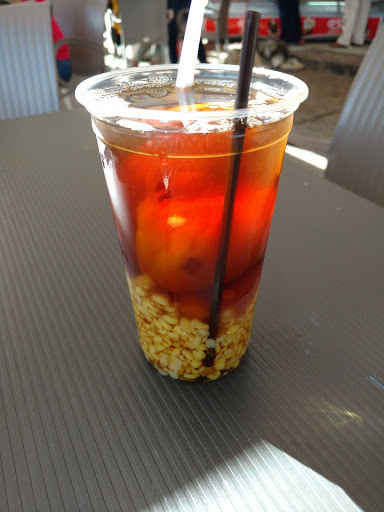 The drink consists of dried peaches and husked wheat served in peach nectar with spices (such as cinnamon). It is gum curlingly sweet and I can't say I was a fan. 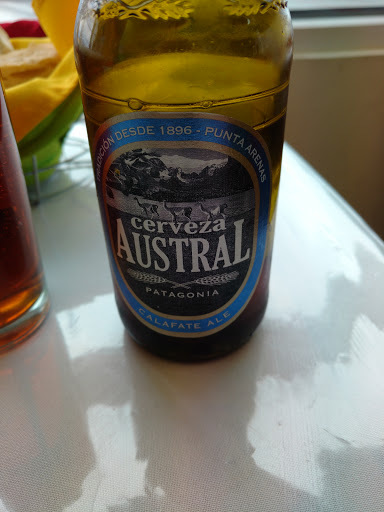 However, there were some surprisingly good epanadas to make up for the interesting flavoured beverage. 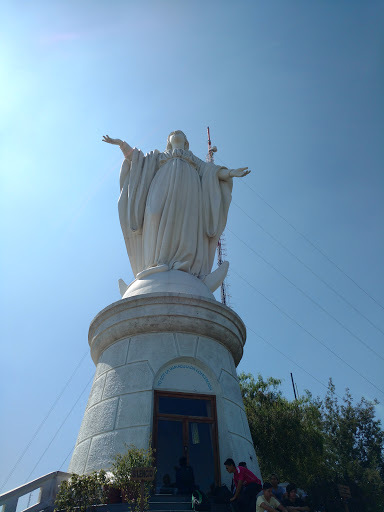 At least it gave me the energy for the final climb up the stairs to the immaculate conception statue. 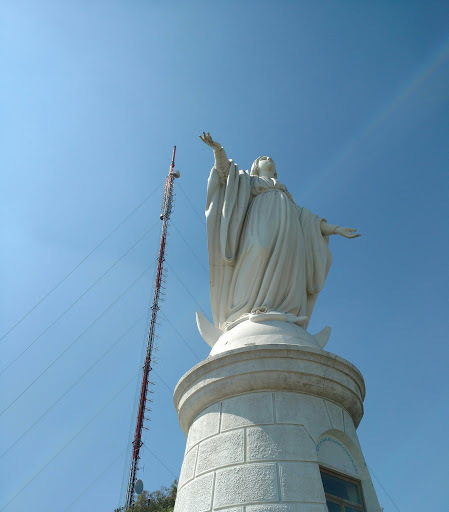 Strangely there are also many mobile phone towers behind the statue that ruin the scenery somewhat. 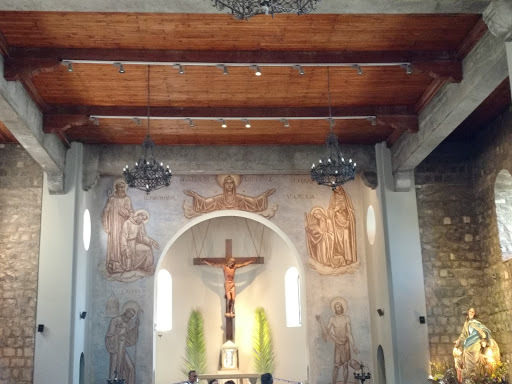 There is also a small church and amphitheatre near the statue for religious services. 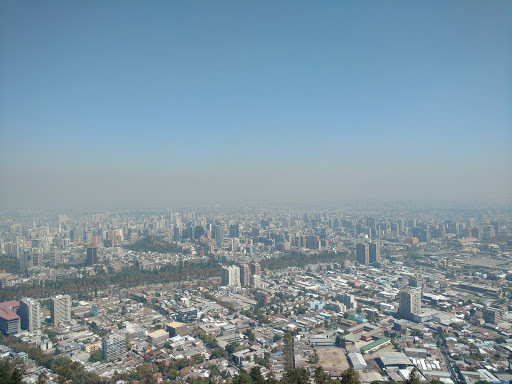 From the statue you can also get great views of Santiago. 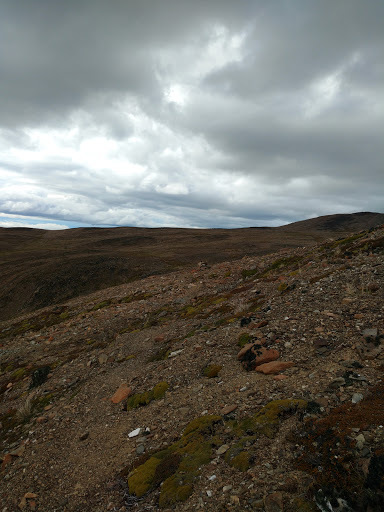 Instead of walking back, I decided to take the lazy option of the fernicular back down the hill. 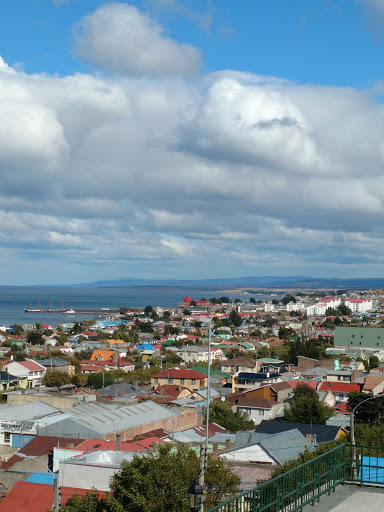 Punta Arenas is a small town in Chilean Patagónia. 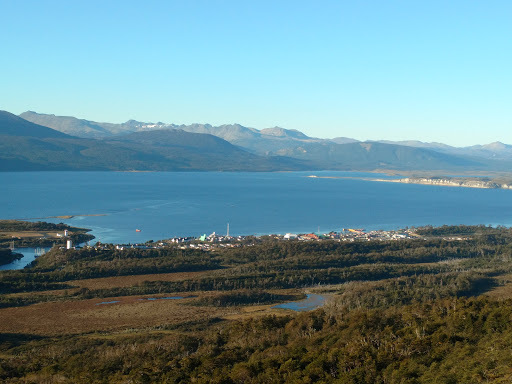 It serves mainly as a port and as a transit point to the Torres del Paine national park. 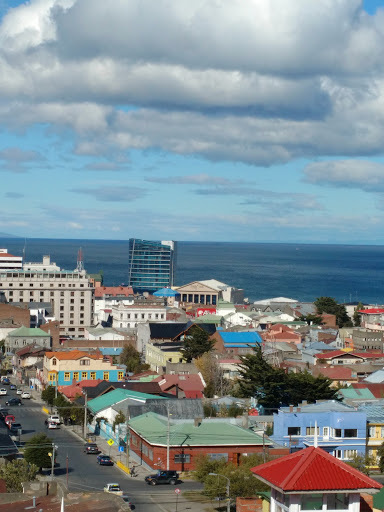 It is a very sleepy town with few attractions within the town itself, however it is known for a historic fort and a large Penguin colony. Sadly, I'd been struck down by a cold and so I restricted my activities to the town rather than take a bus to these attractions. 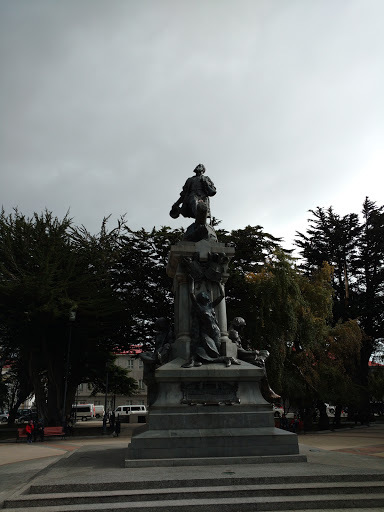 In the centre of town there is a main Plaza with a small artisan market and a statue of Magellan. 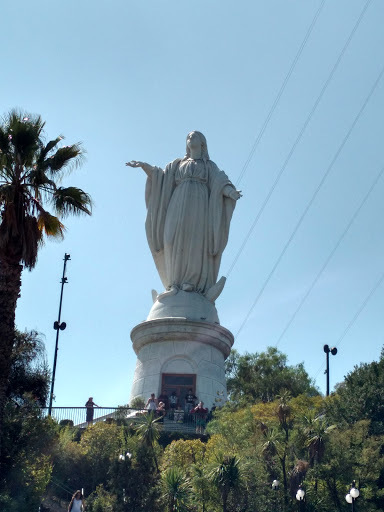 Apparently if you touch the statue you will return to Punta Arenas. 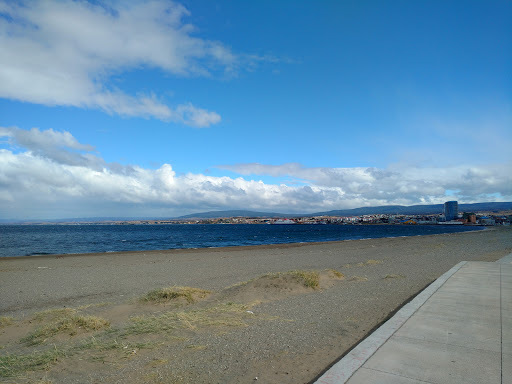 The town also has a long boardwalk that runs all along the foreshore, however, sadly it is not well maintained and parts of it are heavily graffitied and damaged. At least it dies provide nice views of the beach. In the hills behind the town is a lookout that gives a vista across the whole city. 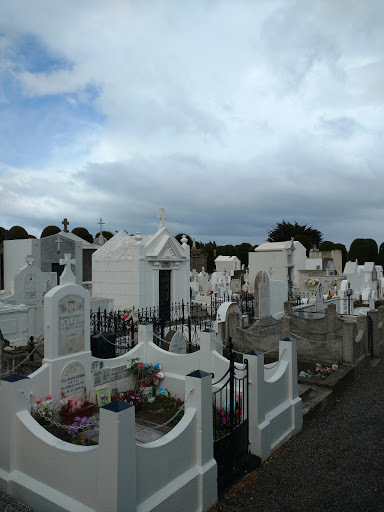 The town is also known for its well-maintained historic cemetery. 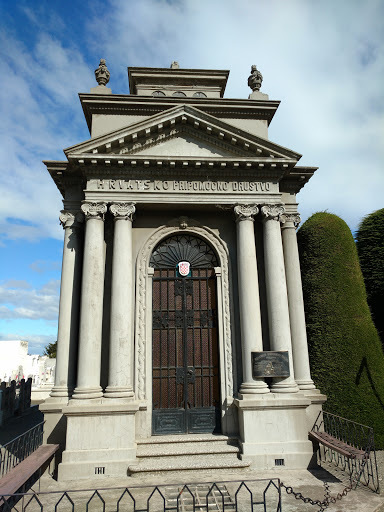 It is similar in style to the Recoleta cemetery in Buenos Aires and like there, houses many historic figures from the town. 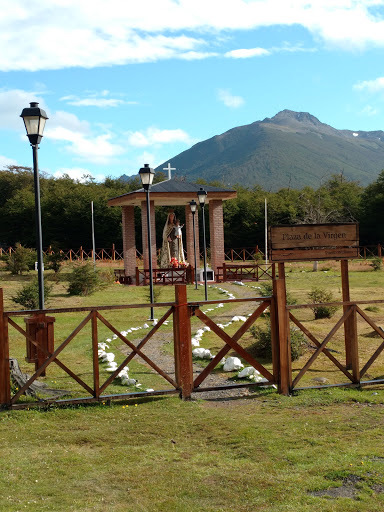 The interesting thing about the Punta Arenas cemetery is the variety of origins if the people buried here. There were large numbers of Eastern European (especially Croatian) names as well as many English, Jewish and German graves. 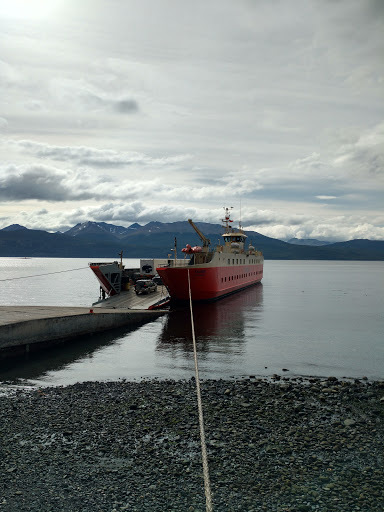 The ferry from Puerto Williams to Punta Arenas is a 30 hour ferry ride through the Beagle Channel and the Magellanic straits. 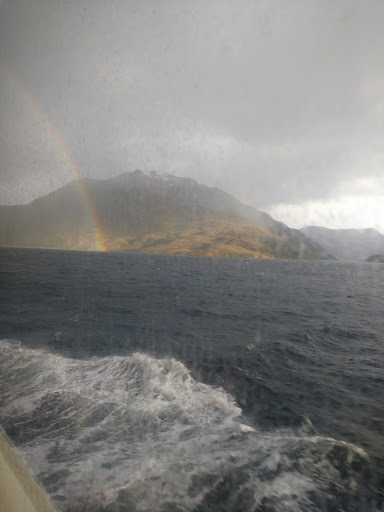 The ferry is a commuter and goods ferry, so it is not designed as a tour - however the scenery makes it an unforgettable experience. The ferry itself is functional and comfortable with fully reclinable bed seats which were long enough even for me and quite comfortable. 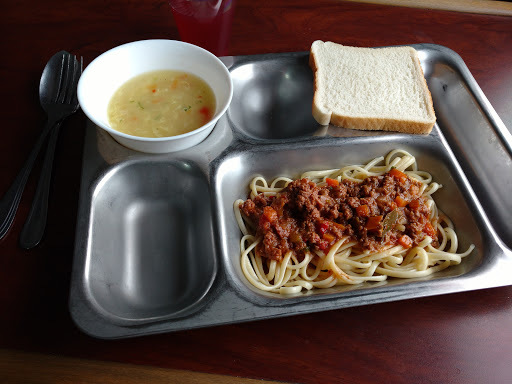 The food is basic, but tasty, but you don't take the ferry for luxury. 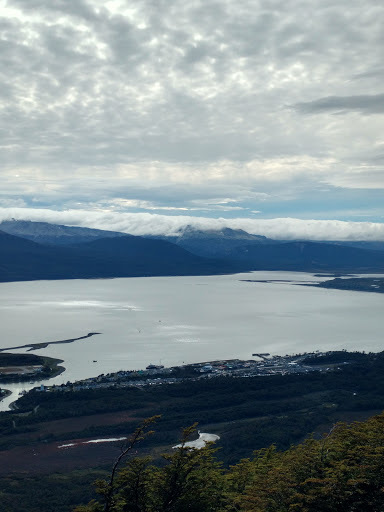 The trip starts through the Beagle channel heading north towards Ushuaia. 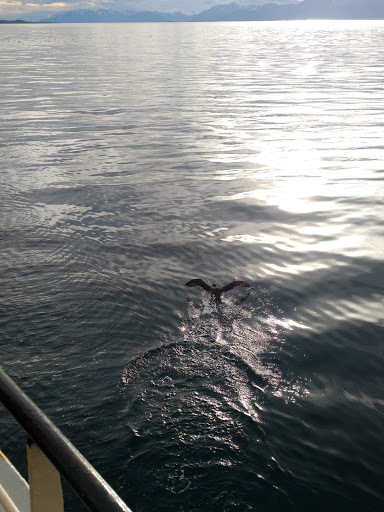 During this trip, the ferry was joined by many animals, including Orcas (which sadly dived before I could photograph them), Penguins and sealions. 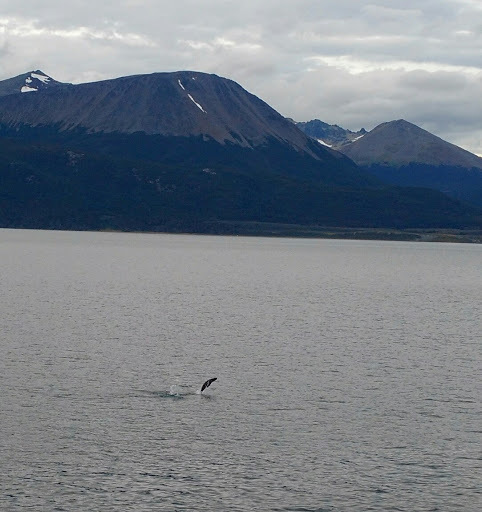 The ferry also startled many birds who took off as the boat approached. 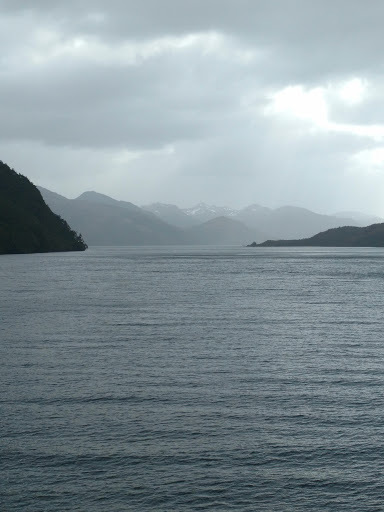 The ferry starts by travelling up the Beagle Channel through fairly calm waters. 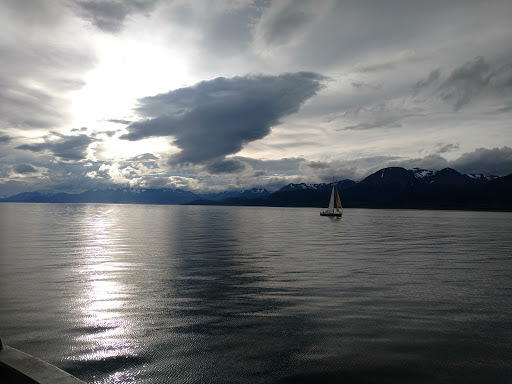 As the ferry leaves at four in the afternoon, the slow sunset over the channel provides a beautiful backdrop to the cruise. 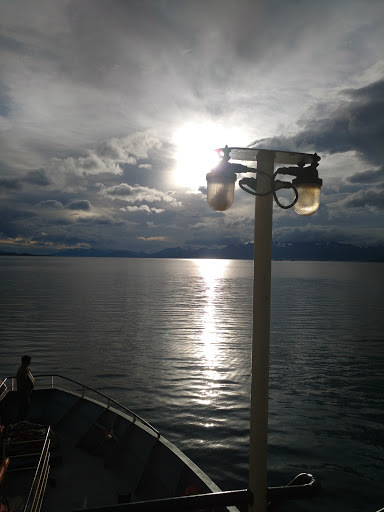 The ferry then turns out of the Beagle Channel and into more open seas over night. 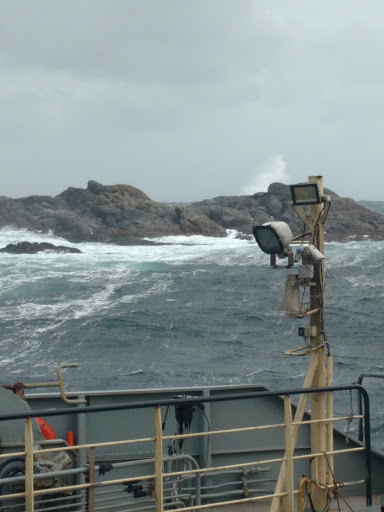 However, once the ferry entered the Magellanic straits, the sea calmed as it passed the southernmost tip of the South American continent. 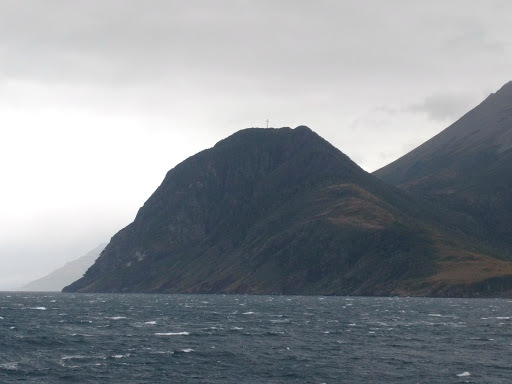 There is a giant white cross which marks the southernmost point. 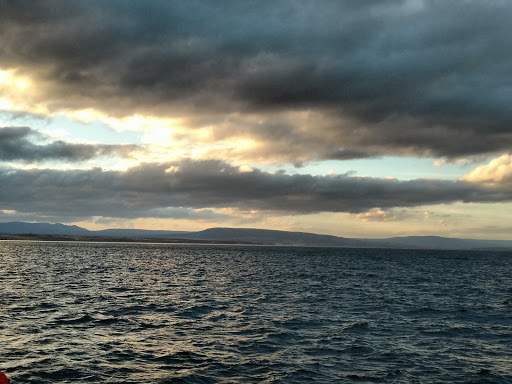 The ferry continues towards Punta Arenas as the sun goes down over the Magellanic straits and arrives around 10pm in the evening to Punta Arenas, allowing passengers a final sunset on the sea. 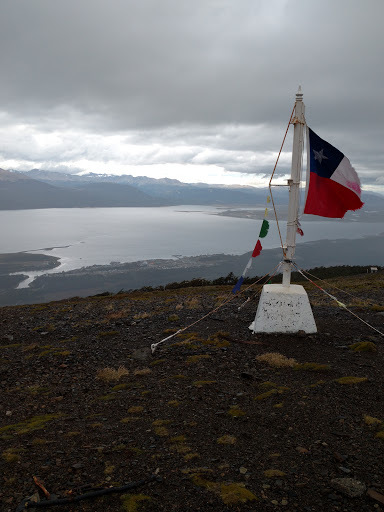 The Cerro Bandera trail is the first part of the Dientes de Navarino trail in Puerto Williams. It's easily accessible from the town, with a short 40 min walk to the main road to the Aerodrome and Puerto Navarino. 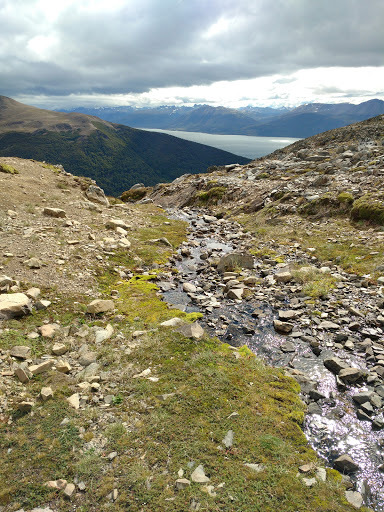 The trail starts along the road to the town water supply where the road splits at Plaza de la Virgen. 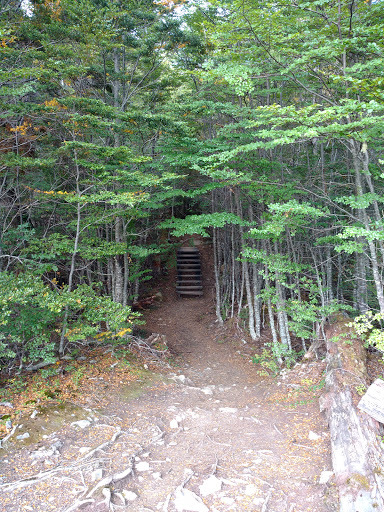 From the town water supply, the trail heads into the forest of Northofagus trees that are typical of the area. 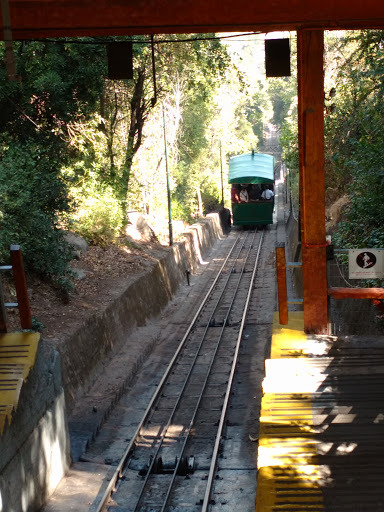 The path climbs steeply up the hill until it reaches the first of the lookouts. 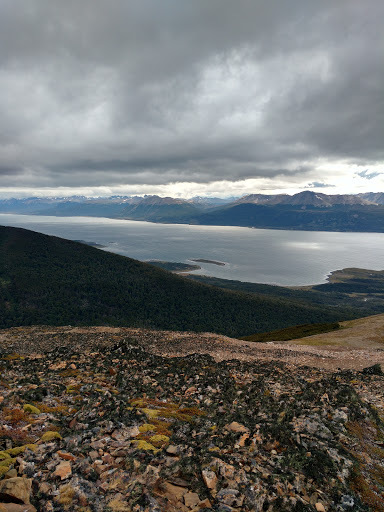 From here you can see Puerto Williams, the Beagle Channel and far in the distance, Ushuaia. 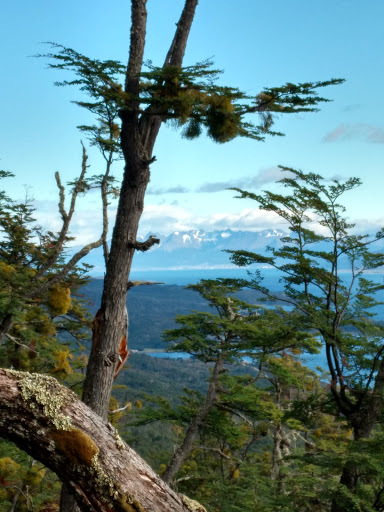 From this lookout the trail becomes considerably steeper as it winds through further forest until you ascend past the treeline where there is a second lookout. 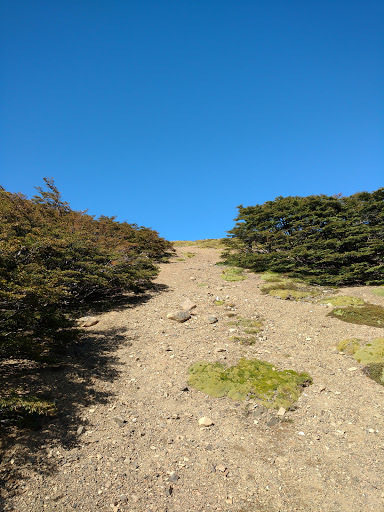 From here it's a very steep ascent to the flag at the top. 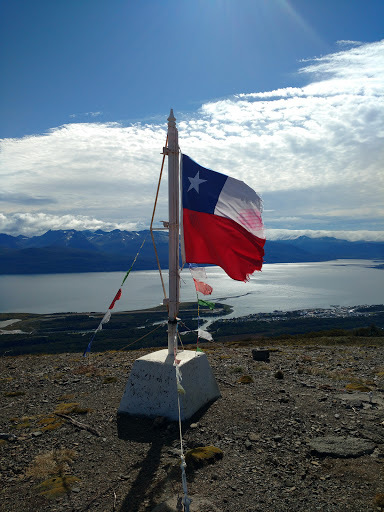 The Bandera (flagpole) commands views across the valley to the Beagle Channel. 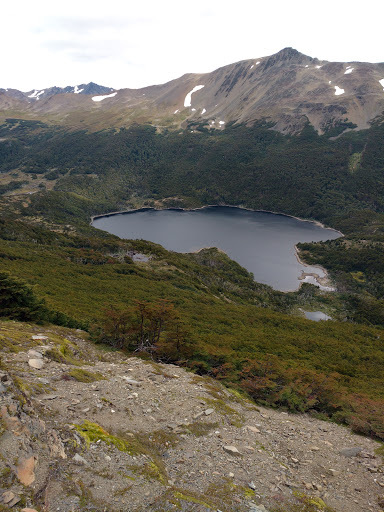 The trail continues up the mountain and from the H5 and H6 waypoints you can get beautiful views of the lagoons, mountains and river. 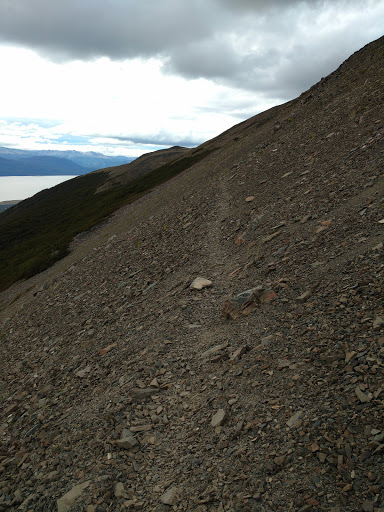 The trail follows the side of the mountain and is very steep and difficult terrain. 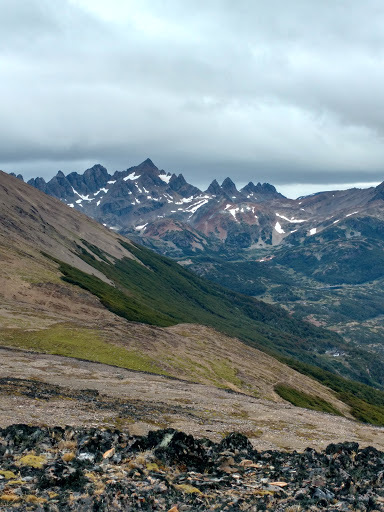 Sadly I had run out of time to continue and it had started to rain - so the prospect of more mountain trekking was impractical.